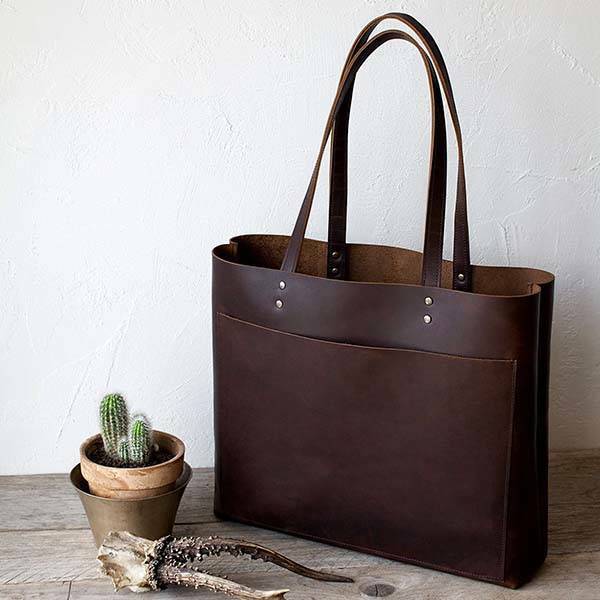 The handmade leather tote delivers a stylish way to hold your everyday items. Like the design? Let’s keep checking. This is a well-crafted and practical tote handmade by CORIUMI, a handicraft studio from Lithuania. As we can see from the images, the tote shows off a classic and fashionable appearance design, and it’s handmade from high-quality Italian genuine leather for durability and luxurious aesthetics. Meanwhile, the distressed exterior delivers retro elegance, while the metallic rivets not only provide enhanced durability, but also complement to the stylish look. The handmade leather tote measures 13 x 14.5-18.5 x 4 inches. 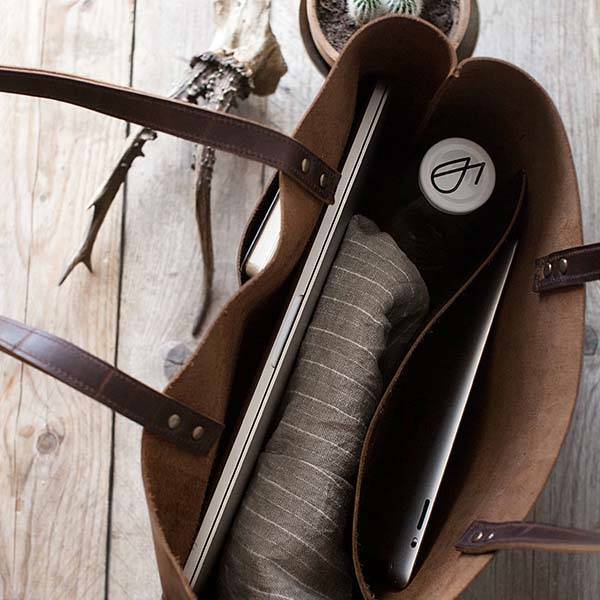 With an ample main compartment, the leather bag is designed to hold all your daily essentials such as laptop, water bottle, books and more. Furthermore, an internal pocket is big enough to accommodate your tablet, and the wide opening lets you easily access to all your items in the bag, while the optional magnetic closure keeps your belongings in place. Moreover, there are three external pockets on the sides in order to hold some frequently used items like sunglasses, notebook, pen and more. 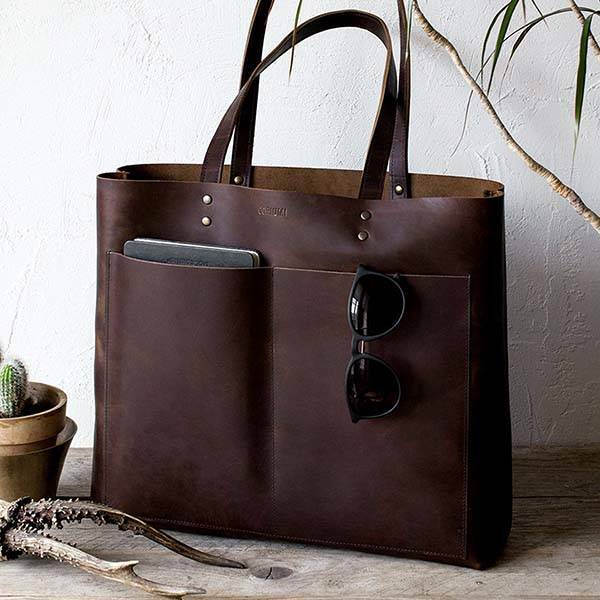 The handmade leather tote is priced at $195.2 USD. If you’re interested, jump to Etsy for its more details.